Jews have lived in the Slovakian region since the 11th century. Today, the Jewish population of Slovakia is approximately 2,600 people. Jews have lived in the Slovakian region since the 11th century. In the 14th century, nearly 800 Jews resided in Bratislava. The majority of Jews engaged in commerce and money lending. Two notorious blood libels occurred in Slovakia; in 1494, Jews were burned at the stake in Trnava, and in 1529, in Pezinok 30 Jews were accused of wrongdoings and burnt at the stake. After the battle of Mohács in 1526, Jews were expelled from all major towns in Slovakia. During the late 17th century and early 18th century, Jews began to return to their original cities in Slovakia, and establish well defined communities. Nevertheless, Jews were in constant conflict with locals and barred from many trading industries. The first Jewish cemetery in Slovakia was set aside in the early 15th century in Tisinec (the cemetery was utilized until 1892). Under the rule of Joseph II, Jews received many civil liberties and much of their livelihoods were expanded in aptitude. In 1683, hundreds of Moravian Jewish fled to Slovakia seeking refuge from the Kurucz riots and the living restrictions of Moravia. Most of these immigrants settled in western Slovakia, bordering Moravia. In 1700, the leading yeshiva in Slovakia was established in Bratislava. This institution was recognized by the government for the education of rabbis. In 1867, the dual monarch of Austro-Hungary was established and Slovakia became a part of Hungary, often considered “Northern Hungary.” For more than a millennium, Slovakian Jewry was closely linked with that of Hungarian Jews. The Hungarian parliament passed the Emancipation Law to promote assimilation among minorities, especially Jews. Government officials supported Jewish cooperation in industry and finance. The Jewish population grew exponentially, especially in small, secluded towns in Eastern Slovakia. Nevertheless, much anti-Semitism existed in Slovakia and nationalists refused to allow Jews to assimilate into their culture. In 1882 and 1883, anti-Jewish riots occurred in several towns in Slovakia. With the introduction of the “Reception Law” (1896), which placed Judaism and Christianity on the same equal level, the Slovak Clerical People’s Party was formed. The Party’s main interests were anti-Liberalism and limiting Jewish influence in the country. The 19th century also gave rise to the Zionist movement. In Slovakia, eight local Zionist organizations were formed. In 1903, Bratislava held the first Hungarian Zionist Convention; the first World Mizrachi Congress was convened in 1904. After World War I and the creation of Czechoslovakia (1918), Jews were given the right to be considered a separate nationality in the country. Jews prospered not only in industry but cultural life. Jews held more than one-third of all industrial investments in country. In 1919, the National Federation of Slovak Jews was established in Piestany and the Jewish Party (Židovská strana) was created. On August 2, 1919, Juedische Volkszeitung (“Jewish People’s Paper”) was first published in Bratislava. This paper played a crucial role in advancing the rights of the Jews in Czechoslovakia. In the first national census in Czechoslovakia (February 15, 1921), 135,918 people registered as practicing Jews (4.5 percent of the population); 70,522 of them declared themselves of Jewish nationality. Before World War II, 217 congregations existed in Slovakia: 165 Orthodox congregations and the remaining 52 congregations split between Neology and Status Quo Ante (the later two affiliations later unified under the title “Jeshurun”). During this period, Judaism in this region was also caught in the struggle between the Reform (Neolog and Status Quo Ante) and Orthodox movements. elections (1920, 1925). Ultimately, the party failed to receive enough votes to maintain any seats in the parliament in Prague. In 1929, during the third election, Ludvik Singer and Julius Reisz of Bratislava were elected to parliament through the Jewish Party. Under the influence of the Slovak Peoples’ party, many Slovakians were incited against the Jews. In the late 1930s, numerous anti-Jewish demonstrations were held in Slovakia led by the Nationalist Youth Movement (Om Iadina) and the Volksdeutsche students. Before World War II, 135,000 Jews lived in Slovakia; 5,000 of whom immigrated before the war. Under the protection of Nazi Germany, Slovakia proclaimed its independence in March 1939. The country came under the control of an extremely religious and right-wing party, the Hlinka (Slovak) Peoples’ party, under the leadership of Father Jozef Tiso, a Catholic priest. After its establishment, the Slovakian government approached the “Jewish Question” as one of their first public issues. The first anti-Jewish law was passed in Slovakia on April 18, 1939. A few days later, on April 24, Jews were excluded from all government positions and service. On September 19, 1939, all Jews were expelled from the military. Many more discrimination laws followed, including children being ousted from school and Jews being excluded from public recreational facilities. By 1940, more than 6,000 Jews emigrated both legally and illegally. The Slovakian government passed a law that permitted it to take over control of all major Jewish businesses. These laws were supported by the majority of Slovakians. In a 1940 meeting between German and Slovakian officials, Germany dictated new changes within the Slovakian government to make the country more dependent. During this period, Jews lost many more privileges, including the right to a car or gun. In August 1940 another decree was issued that required every Jew to register with the government and state their financial status. Auschwitz. By 1942, nearly three-fourths of the Slovakian Jewry had been exterminated. In April 1944, after several months of calm, deportations resumed during the Slovakian resistance, in which numerous Jews partook. The Communist Party controlled politics of Czechoslovakia from February 1948 to 1989. During that time, little or no organized Jewish life existed in Slovakia. Many Jews left for Israel or the United States to retain their freedom of religion. In July 1991, Soviet forces pull out of the region, initiating the fall of Communism. By 1992, with the collapse of the Soviet Union, the Communist Party lost its hold on the government. After the peaceful division of Czechoslovakia in 1992, Slovakia gained its independence on January 1, 1993. Since Slovakia’s independence, such organizations as Maccabi and B’nai B’rith have become active in the communities. The major communal organization which maintains Jewish life is the Federation of Jewish Communities in Slovakia. In both Bratislava and Kosice there exist kosher restaurants and community centers. Synagogues are located in Bratislava, Galanta, Kosice, Piestany, Presov and Trnava. The only rabbis, however, are located in Kosice (Rabbi Goldstein from Israel) and Bratislava (Rabbi Baruch Myers from the U.S.). Both the Jewish Distribution Committee and the Lauder Foundation are active in promoting religious awareness among young Jews through communal activities. On December 14, 1990, the Czechoslovak Union of Jewish Youth (CSUJY) was established to help preserve Jewish culture and tradition among Jewish youth in the region. Since 1993, CSUJY has been publishing the Chochmes magazine. In 1999, the American Jewish Committee surveyed Slovaks and found that a majority favored keeping and recalling the Holocaust, but few actually knew the details of the annihilation of Jews during World War II. On September 9, 2002, Slovakia marked its first Holocaust remembrance day. In March 2003, the country commemorated the 60 years since the first transport to Auschwitz (March 25, 1942). Today, approximately 3,000 Jews live in Slovakia, predominately in the capital city of Bratislava. Most of the residents, however, are over 70 years old and the population is quickly dwindling with many young Jews assimilating through intermarriage. There are more than 100 synagogue buildings and nearly 700 Jewish cemeteries scattered across Slovakia. There are also numerous Jewish cultural places in Slovakia to visit, including the Underground Mausoleum. This museum contains the graves of 18 famous rabbis together with Chatam Sofer, who founded a rabbinical seminary. About 200 synagogues and 620 Jewish cemeteries remain in Slovakia, symbolizing the once thriving community that flourished in the area. 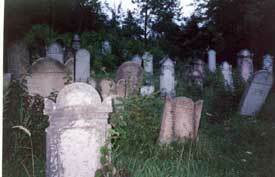 In 2002, both the Jewish cemeteries in Levice and Zvolen were damaged and historic tombstones smashed. Since 2003, there has been a rise in popularity among Slovaks for right-wing extremism, incorporating neo-Nazism and fascism. 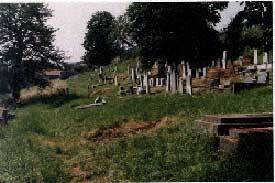 In April 2003, the Jewish cemetery in Kosice was vandalized causing $35,000 in damage. In 2007, Slovakia's foremost Jewish scholar Maros Borsky formally launched the Slovak Jewish Heritage Route, a tourist and educational trail that links two dozen key sites in all eight regions of the country. Included on the Heritage Route are synagogues, Jewish cemeteries, Jewish museums and Holocaust memorials. "The only way to preserve these buildings is to find a different use for them, predominantly and preferably for cultural purposes," says Borsky. Sites on the trail include places within day-trip distance from Bratislava: Malacky, Stupava, Trnava, Samorin, Trencin, Nitra, Komarno, Zvolen, Sahy, Kosice, Presov, Bardejov and Spisske Nova Ves. In 2019, Slovak Prime Minister Peter Pellegrini announced the opening of cultural and trade office in Jerusalem during a visit to Israel. Bardejov is located near the northern border with Poland. Previous to World War II, more than 5,000 Jews lived in Bardejov, however no lives live in the town today. Nearly the entire community was destroyed during the Holocaust. The entire town center, including the old Jewish compund on Mlynska Street, is listed on UNESCO's roster of World Heritage Sites. The Jewish compound comprises the massive Old Synagogue, built in 1836 and now undergoing a restoration that will build a beit midrash and a mikva. Bratislava is located near the Austrian border on the Danube River. Jews first settled in the city in the late 13th century. Over the years, the Jewish community was expelled from the city on several occasions, specifically in 1360 and 1526. By the 18th century, 120 families resided in Bratislava. During this period, the Jewish population continued to thrive, especially with Jews arriving from Moravia. The city became a center of European Judaism with the arrival of Rabbi Moses Schreiber. Prior to the Holocaust, 15,000 Jews lived in Bratislava, which also had numerous magnificent Jewish synagogues and buildings, including the Grand Orthodox Synagogue built in 1863. Today, Bratislava has about 1,000 Jews living within the city. The community is led by Rabbi Baruch Myers from Brooklyn, New York. One synagogue, built in 1923 for the Orthodox community, remains in Bratislava. Jews first settled in Giraltovce in 1750 from Poland. By 1786, 21 Jews lived in Giraltovce. The first Jewish cemetery of the community was sanctified in 1800. By 1848, 137 Jews lived in the town. In 1890, the first Jewish school was established and a decade later the first synagogue was consecrated. The majority of the community was Ashkenazic Orthodox. Prior to the world wars most of the Jews were involved in trading in commerce; following World War I, many Jews became tailors and carpenters. Many men from this community fought in World War I, with only a few recorded deaths. In April 1920, 475 of the Jews from Giraltovce voted for the Jewish parties. By 1930, the Jewish population had declined to only 220 people. Simultaneously, Zionist movements began to thrive in Giraltovce through the local activity of Bnei Akiba and Betar. Prior to the Holocaust, 345 Jews (58 families) lived in Giraltovce. Most of the community was transported to concentration camps; 452 Jews from Giraltovce and the surrounding area were deported. On January 18, 1945, the Russian military liberated the town. Only 58 of the 351 Jews from Giraltovce survived the Holocaust, and most of them immigrated to Israel and the United States. Humenne is located in eastern Slovakia. While Jews had been living in Humenne, it was not until 1780 that the Jewish community was officially recognized. 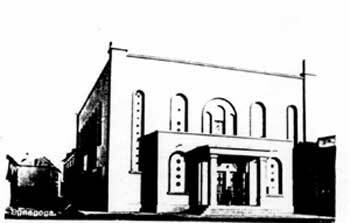 During this period, the community organized a chevra kaddisha, founded in 1787, and constructed a synagogue. 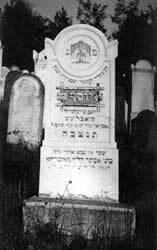 Rabbi Spira Jakab was the first rabbi of the congregation, followed by Rabbi Fischel Horovitz. In 1835, a Talmud Torah was established to aid in the education of poor children. An old Jewish cemetery is located in Humenne with 500-5000 tombstones in the gravesite, dating back to the early 19th century. During World War II, more than 2,200 Jews from Humenne were murdered. Košice is considered the capital of eastern Slovakia and is the country's second largest city. 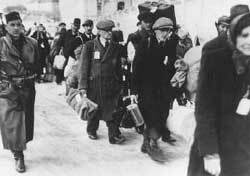 During the Holocaust, the majority of the Jewish community was deported to concentration camps and annihilated. Today, approximately 800 Jews live in Košice, which makes it the second largest Jewish community in Slovakia. A synagogue remains from the early 19th century. The building maintains a mikveh, kosher market, and a community center. Jews first arrived in Lipany in the early 18th century. By 1848, 130 Jews lived in the town and, in 1859, the community built its first synagogue. In the early 20th century, a Beit Midrash and a Talmud Torah were established. 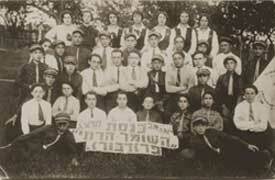 After World War I, Zionist activities and organizations began to thrive in the town. In 1929, a new, larger synagogue was consecrated. In March 1942, nearly 400 Jews from Lipany were transported to various Polish ghettos and concentration camps. There exists a cemetery from the 19th-20th century, incorporating 100-500 tombstones. Jews first arrived in the early 19th century in Nove Zamky and formed a religious community, establishing a school and Chevra Kadisha. Originally, the community was led by the chief rabbi of Nagysurany (Surany). The local population accepted the Jewish immigrants because it expanded the trading area and commerce. From 1849 to 1895, Rabbi Ignac Kramer directed the services and communal life. By the 1860s, the first synagogue was established in Nove Zamky following the neolog-congressional style of a synagogue in Budapest (destroyed in March 1945). A few Orthodox Jews did not like the “untraditional” style of the synagogue and, in 1870, established another congregation. This congregation came under the leadership of Chief Rabbi Josef Richter and Rabbi Samuel Klein in 1913. The first elected rabbi of the Orthodox congregation was Benjamin Zeev Wolf, followed by his son in law, Henrik Sonnenklar in 1882. In 1880, the Orthodox congregation built a separate synagogue that still exists today. The most recent renovation of the synagogue occurred between 1991 and 1995. In 1991, the Slovakian government declared the building a nationally protected monument. The Orthodox community also opened a five-year elementary school. In 1927, the neolog congregation founded a middle school, which placed emphasis on industrial and commercial subjects rather than religion (this building was destroyed in 1945). The first Jewish weekly newspaper covering in Nove Zamky and the surrounding area, Szombat. Located near Kosice, the Jewish community compound in Presov is anchored by a magnificent synagogue built in the late 19th century. The synagogue's interior features strikingly elaborate ornamentation on walls and vaulted ceiling, and a valuable collection of Judaica and other items are on display in the gallery. Prior to World War II, Prešov was an important center of Judaism and Jewish life, with more than 6,000 Jews residing in the city. Today, fewer than 100 Jews remain in Prešov. Also tombstones from the old Orthodox and Reform cemeteries can be found near the Catholic gravesite. A memorial to those lost during the Holocaust can be found in the courtyard of the main synagogue. Jews first settled in Stropkov, located on the Ondava River, in 1648 fleeing the Chmielnicki pogroms in Poland. Jews soon led the economy of Stropkov; although many Jews lived in poverty. Jews owned all the taverns and shops in Stropkov. Possibly because of their economic success, the Jews of Stropkov were expelled to Tisinec in 1700. In 1800, many Jews returned to Stropkov and reclaimed their position in the local community. Stropkov grew to become the largest Jewish community in the area. Rabbi Moshe Schonfeld was the first rabbi of Stropkov and led the community until 1820. The community maintained a synagogue, rabbinical court, and mikveh. Many famous rabbis practiced in Stropkov and the town became the center of Torah study in Greater Hungary. 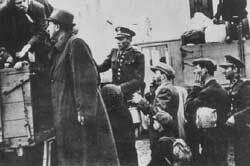 Deportation of Slovak Jews. Stropkov, Czechoslovakia, May 21, 1942.
of Jews were buried from Stropkov in this massive gravesite. From 1892 to 1942, the Jewish community of Stropkov established a second cemetery on the outskirts of the town, which was utilized until World War II. 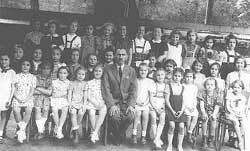 Prior to the Holocaust, approximately 2,000 Jews lived in Stropkov. By 1939, influenced by the rise of Nazism, more and more anti-Semitic laws were imposed on the Jewish community of Stropkov. The first transport left Stopkov on March 24, 1942, carrying hundreds of Jews to Auschwitz . By 1945, only 100 Stropkov Jews remained. Today, no Jews remain in Stropkov. Prior to World War II, 1,300 Jews lived in Trencín; most of whom were exterminated in Nazi concentration camps. Today only a handful of Jews live in the town. A domed synagogue, built in 1913, just off the the main square that now serves as a municipal art gallery is the only Jewish structure remaining in the city. Some of the buildings original decorations, including stained-glass windows and painted cupola, remain intact. The building includes a resotered small prayer room still in use. The Jewish community of Ziar nad Hronom, located in central Slovakia, was established in the early 19th century, and the rabbinate was founded in 1848. The town synagogue was completed in 1889 and became the focus of the community. In 1919, 36 Jews were recorded living in Ziar nad Hronom. In World War II, the Jews of Ziar nad Hronom survived because they hid in the surrounding mountains. Following the war, all the congregants left Slovakia. Raphael Ahren, “Hungary to open office with ‘diplomatic status’ in Jerusalem,” Times of Israel, (February 19, 2019).